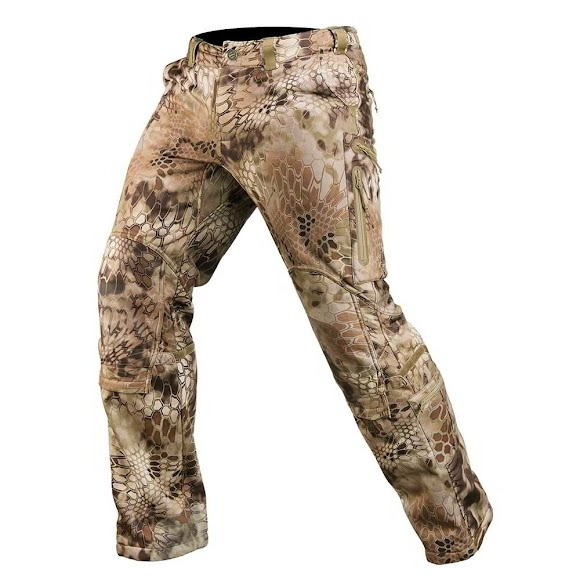 Stand up to heavy wind, moisture and unforgiving temperatures with this versatile pant. Kryptek Apparel's Cadog 2 is part of their softshell system. Durable construction, excellent warmth and articulated fit provide you with the freedom of movement necessary for long days in the field. Designed for cold conditions. Stand up to heavy wind, moisture and unforgiving temperatures with this versatile pant. Kryptek Apparel &apos;s Cadog 2 is part of their softshell system. Durable construction, excellent warmth and articulated fit provide you with the freedom of movement necessary for long days in the field. Designed for cold conditions. Durable water repellent (DWR) finishes on fabrics and zippers give them increased water resistant qualities and significantly extend the life of waterproof and waterproof breathable technologies. The addition of an enhanced hydrophobic treatment enables DWR to adhere to material for an extremely extended lifetime.